First time I applied this product, I love the formula which is weightless yet covers my imperfection very well. It has the velvety and powdery feeling that I love and it has SPF 50+/PA+++ that is great to protect skin from sun damage. But, this product does transferable, so make sure not to touch your skin too much. They offers 4 different shades, 21 Light Beige, 23 Natural Beige, 33 Medium Skin, and 43 Healthy Skin. 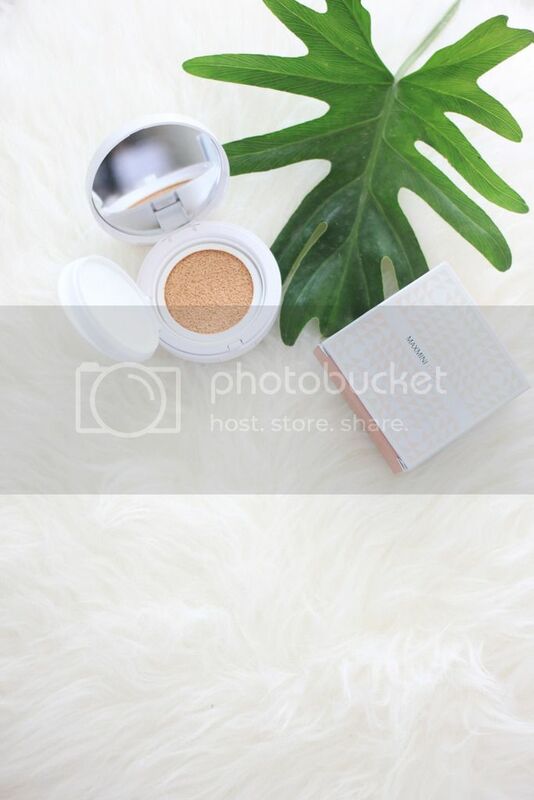 I've always had my bb cushion in shade 23 as I have medium and warm undertone that always match well with my skin tone, so I choose their 23 Natural Beige product which surprisingly turned out their shade had a little pinkish going on that leaves my skin looks off. I guess if you have cool or neutral undertone will have no problem with this shade. This few months, I’ve been suffering from hormonal acne that has just got clearing and leaves redness and acne scar here and there. So, this product did a pretty good job covering my acne scars. It has medium to high coverage. And it’s buildable. So, you can always add more to the area you need more coverage like around the nose or where you have the acne scars. It has semi-matte finish and it feels powdery yet dewy, but not that kind of oily look, if you know what I mean. It leaves your skin with a nice glow without feeling oily. It has no strange scent or whatsoever, which is great! I had issues with fragrance on make up, it leaves my skin irritated after using fragranced product. 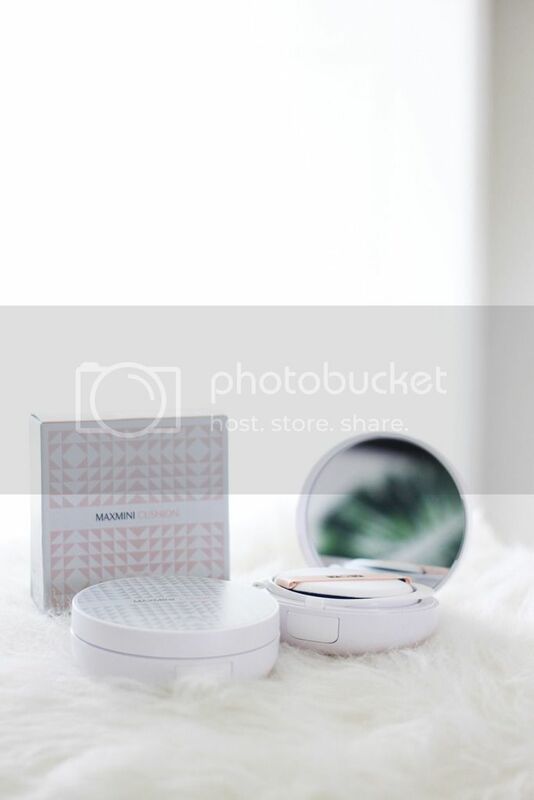 Overall, despite the color shades that doesn’t goes well in my skin tone, I love this bb cushion over my previous bb cushion that I’ve been using a lot. My previous bb cushion had an oily finish that after I use it a couple of hours, my face would look like a frying pan, so oily. 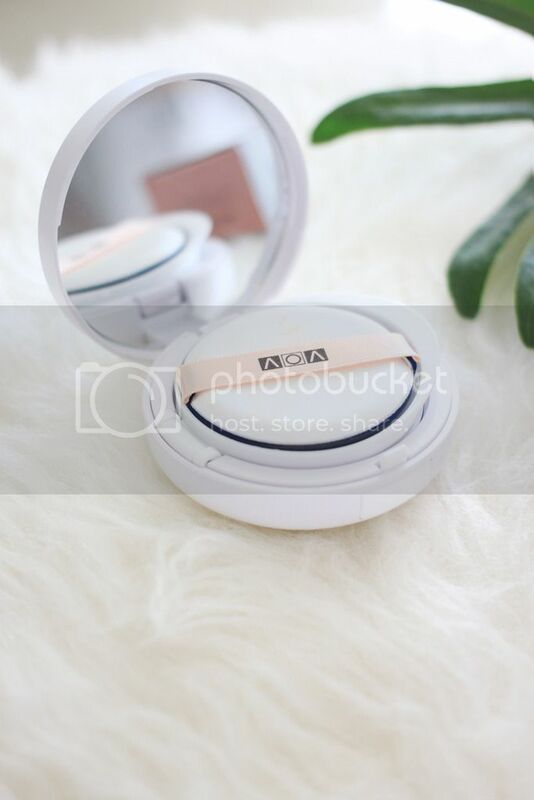 But this VOV Maxmini Cover Cushion has the perfect texture, it has enough coverage to conceal my imperfection yet not feeling sticky at all. For a natural look, apply only a little amount of this cushion so it won't look cakey because it has high coverage, and add more to the area you need to conceal. SOGO Central Park, SOGO Alam Sutera, SOGO Kelapa Gading Mall, SOGO Kota Kasablanka, SOGO St. Moritz, SOGO Central Park, Matahari Taman Anggrek, Metro Plaza Senayan, Metro Pondok Indah Mall, DEBENHAMS Senayan City, AEON dept.store BSD. Matahari Tunjungan Plaza 3, Centro Galaxy Mall.